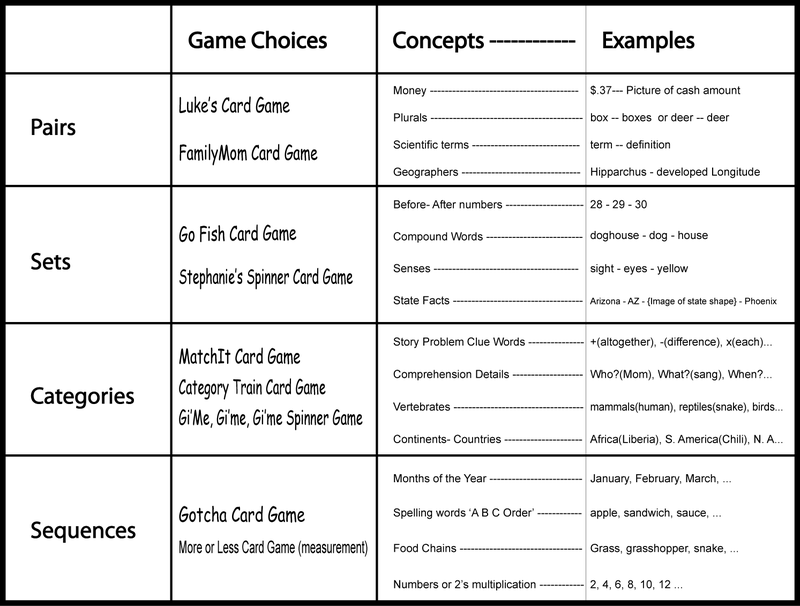 Printable Games worked in my classroom and they can work for you. Students are required to memorize hundreds, if not thousands of concepts, rules, techniques, systems, etc. each school year. Let them enjoy it by replacing oral and written drill with games. Unlimited Custom Games with our FREE membership! 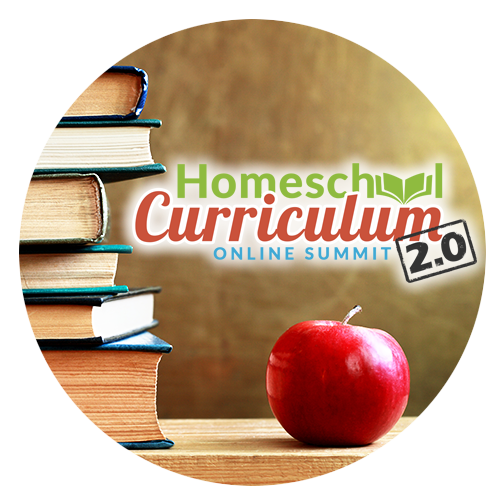 You can make your own custom Printable Educational Games for your family and share them with friends. Members may use our Custom Game Creator Tool, in the "MY GAMES" tab at the top menu (as a logged in member). Here's a 4.5-minute video showing how to make your first custom printable Card game with our new game tool. More Custom Game Creator videos under "Game Rules". To make your game, think about the concept that you want to memorize. Use the image below to help you decide what type of chart that it would fit into. You will add your information to one of these charts inside the game creator tool to create your custom game. There may be more than one chart that could be used. Money is listed in Pairs but if you add the number words "thirty-seven cents" to "$.37 - Picture of cash amount" you could make it a sets chart game. 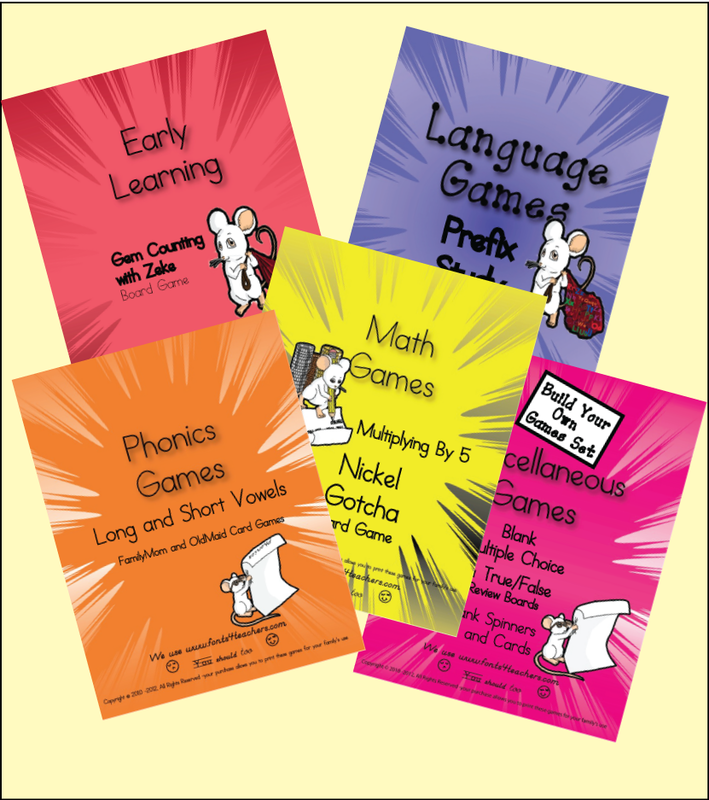 We still offer free printable game samples from each of our Math and Phonics sets that we sell. Step 2 --Click each set and you will find one free game in the information for each set. 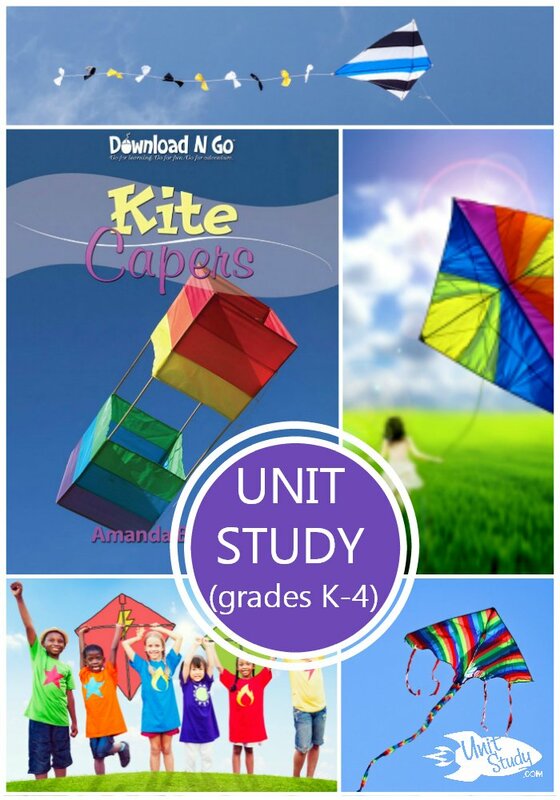 plus these five additional free Printable Game samples (members only). 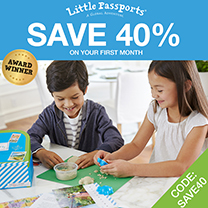 to see the current offer, list of games members get. Options- Do you have more time or money? fill it out with the information you want to memorize.